← Win a $900 Samba Collection Costume for $10! 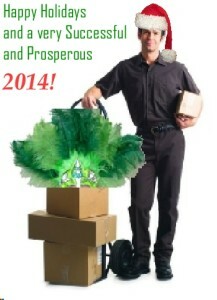 We at Samba Collection wish all our customers around the world a very happy and healthy holiday season! We greatly appreciate your patronage and especially the photos you send us of you in your costumes! Just a reminder to everyone, this is our busiest season so if you are wanting something for Carnaval, you can find costumes in our ready to ship area of our website, or you have to order in the next week. Carnaval starts February 28th, 2014. May 2014 be filled with joy, prosperity, and lots of great shows for you! Me and my family are off to Brazil for the holidays to visit family and we wish you the best of holidays with you and your loved ones!